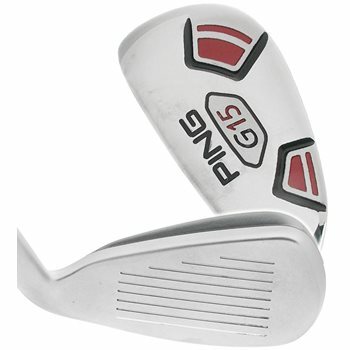 The Ping G15 hybrid features an iron-style face and offset that creates the look of an iron, but still provides all of the easy-to-hit features of traditional hybrids. Its stainless steel head features a unique shape positions the center of gravity closer to the face and lower to reduce spin and increase launch angles for longer, straighter shots. It also features a large internal weight pad in the toe to increase perimeter weighting for maximum forgiveness and distance. Standard length for the 3 hybrid is 40"